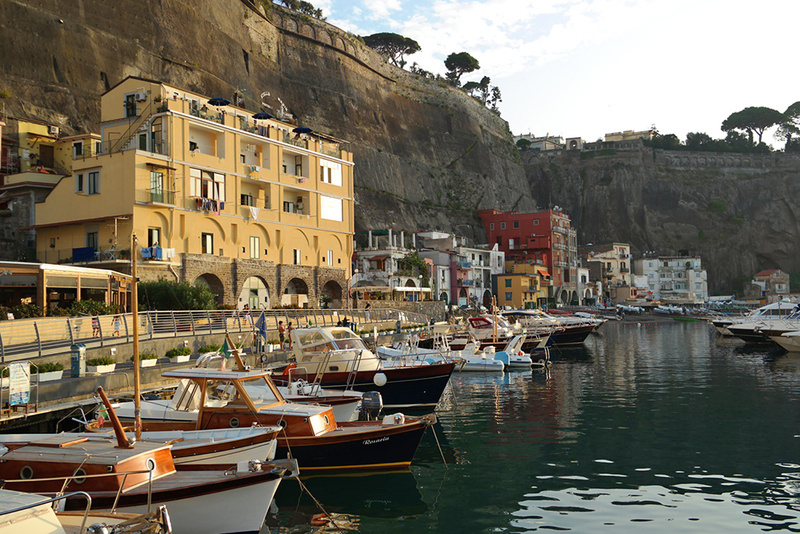 A year ago we visited Naples and Capri, but we did not have a chance to go sailing then. 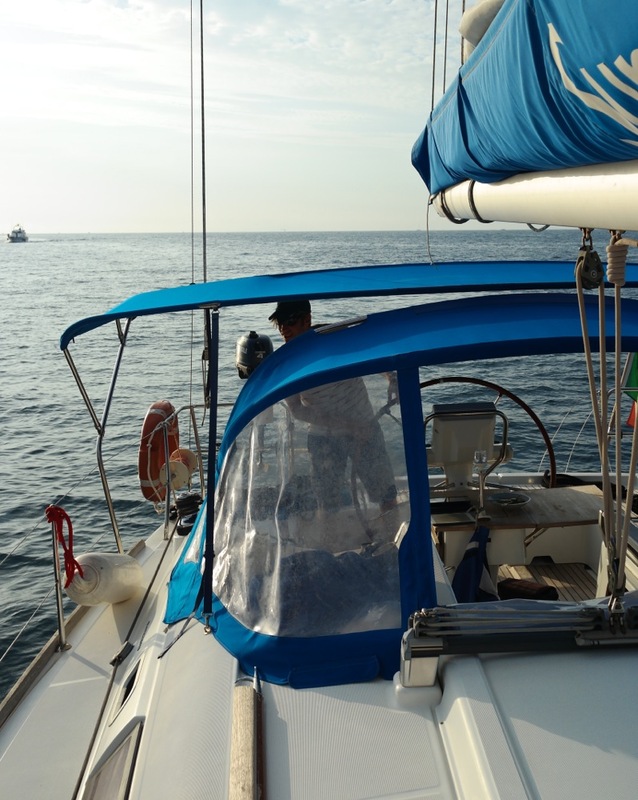 This year we wanted to come back and explore the area with a sailing boat. As the distance from Finland is quite long, renting a boat from the spot seemed like a more attainable solution. 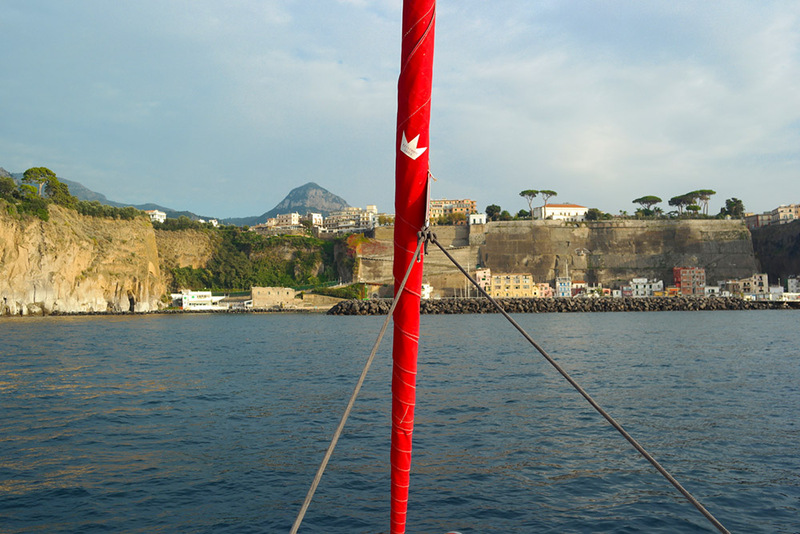 Furthermore, as our time schedule was limited to five active sailing days, Gulf of Naples seemed to be a good choice as the area is not too large and at least some of the places were already familiar to us from our last year's trip. However, this time we wanted to see more original side of the area and spend less time on the polished and tourist-crowded streets of Capri. 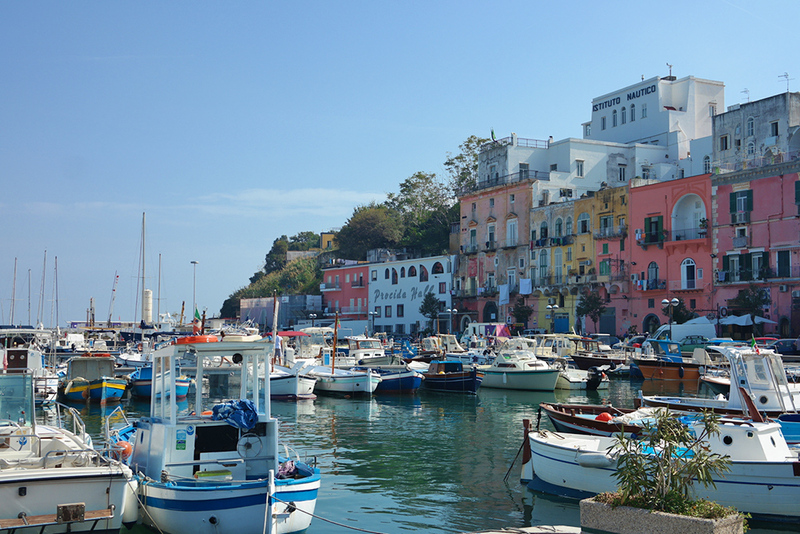 The charter company's base is located on Procida, which is a small island close to the mainland Italy. The main village turned out to be one of the most beautiful and original villages that we visited during the week. 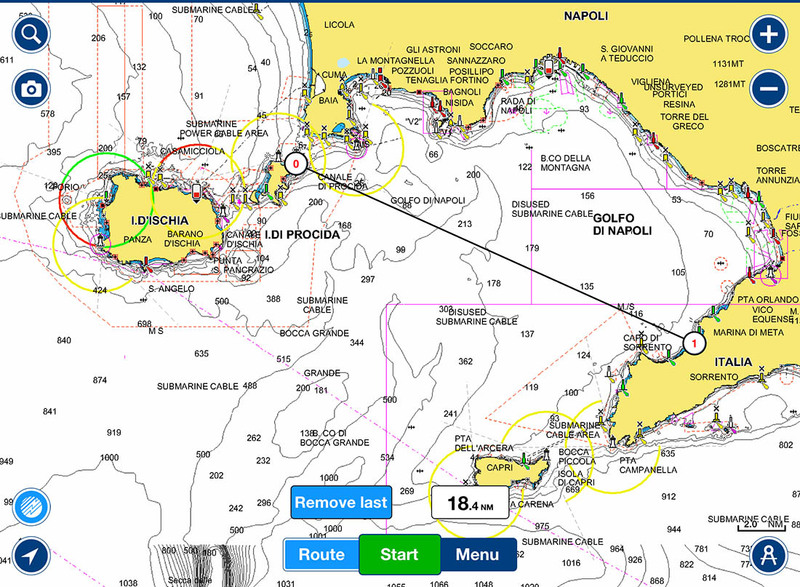 On Sunday, we opened up with about 18 nm leg across the Gulf of Naples towards Piano di Sorrento/Marina di Cassano. The wind was mostly light, but it increased during the afternoon to about 8-10 knots, so we had a chance to sail for an hour or so. 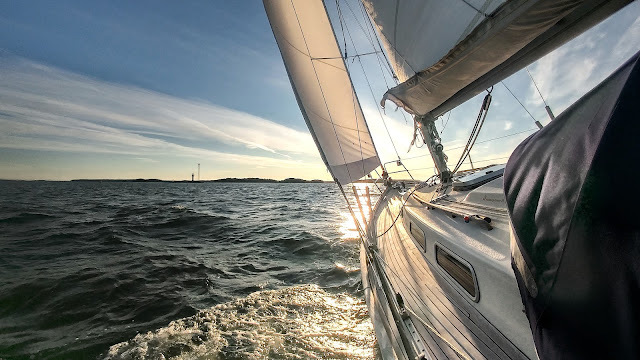 I did not mind the light wind conditions on the first day as the harbour maneuveres with a modern 37 foot boat and shorthanded crew and the Mediterranean mooring style in general required some practicing. However, in Italy it seems to be a custom, that a marinero from the harbour shows the vacant berth and helps with the lines. 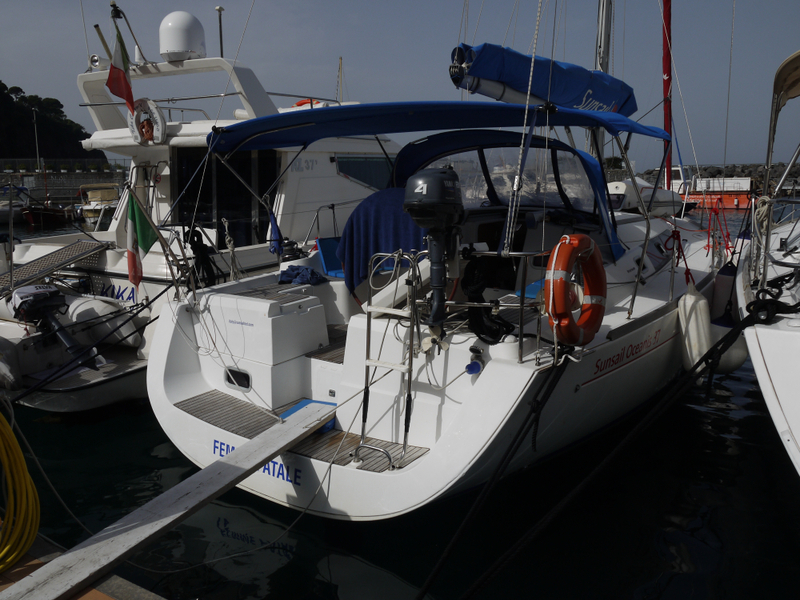 In Marina di Cassano, there were actually two of them and the other marinero jumped onboard from a neighboring boat to tie the mooring line to the bow. That was a very nice welcome and helps a lot, if you are sailing with a small crew. 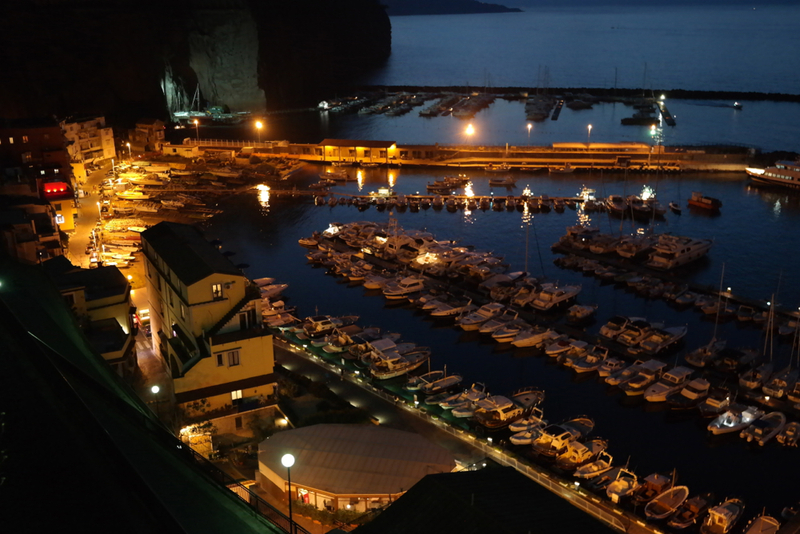 Marina di Cassano is a beautiful small village by the steep hills. As it is not a famous tourist destination, a three-course menu in the waterfront restaurant cost about 10 euros. 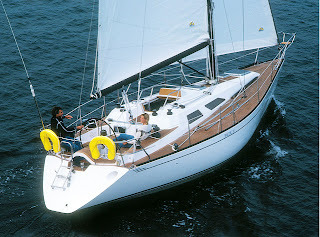 However, the harbour fee for someone who is used to sail in the Baltics, was quite high – 70 € per night in the off-season. However, we later learned that given the services of the harbour, it was actually one of the most reasonbly priced harbours in the area. But more about this in the next chapter.